Corsair announced quad-channel Dominator and Vengeance DDR3 memory kits for Intel's Sandy Bridge-E processors. 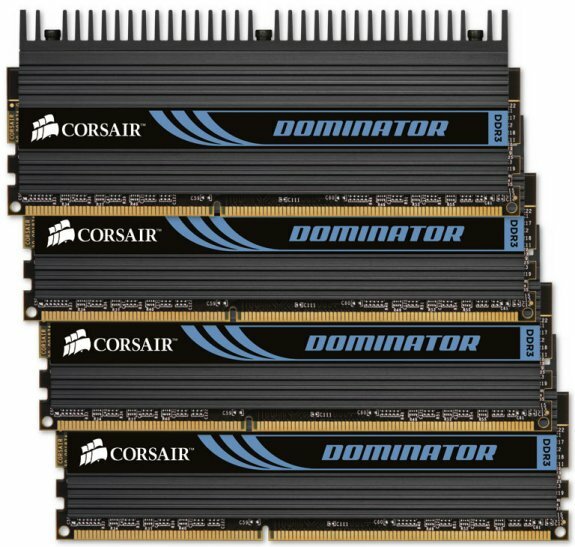 Corsair®, a worldwide designer and supplier of high-performance components to the PC gaming hardware market, today announced several new quad channel DDR3 memory kits optimized for motherboards using the Intel Core i7 processor family for Socket LGA-2011. "Corsair is proud to support the new 2nd Generation Intel Core i7 processor family for Socket LGA-2011 with a broad range of extreme-performance and high-performance quad channel memory kits," said Thi La, Vice President of Memory Products at Corsair. "These kits are ideal for PC performance enthusiasts, whether they're competitive overclockers, gamers, workstation builders, or they simply want the ability to equip their new system with up to 32GB of reliable, high-performance memory." The new Corsair Vengeance memory upgrade kits are available immediately from Corsair's worldwide network of resellers and distributors.